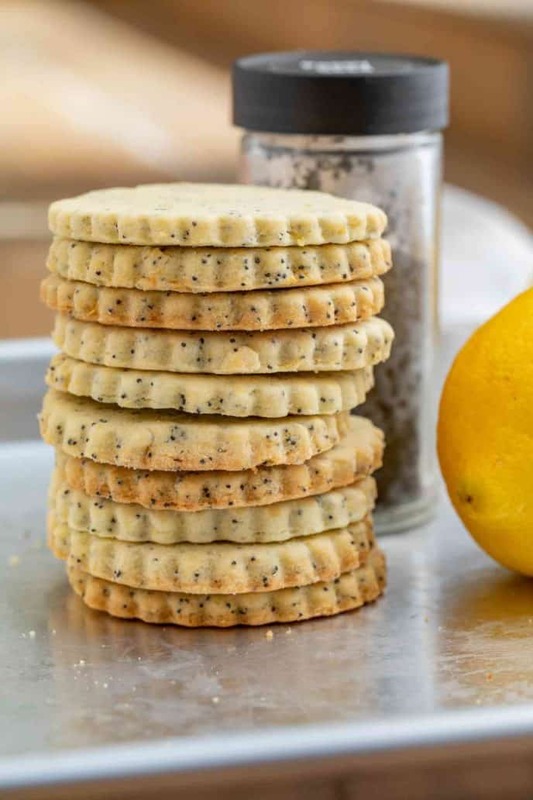 Lemon Poppy Seed Cookies made with a shortbread base, lemon juice and zest in a rich buttery crispy cookie that’s perfect for tea or your Christmas cookie exchange! 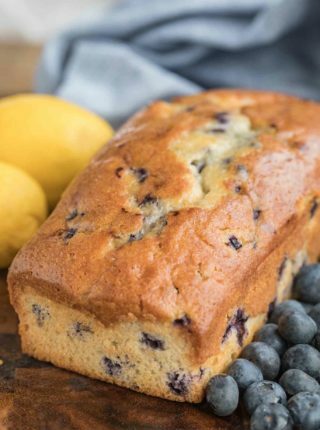 If you love lemon you’ll love these Blueberry Lemon Bread, Lemon Curd and Lemon Bars (just five ingredients and I promise you will keep this recipe in your recipe box forever!). 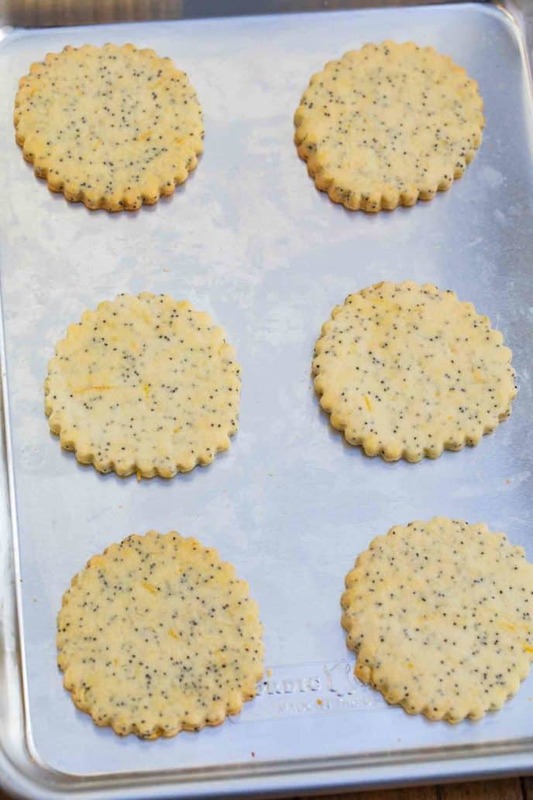 These Lemon Poppy Seed Cookies are the best shortbread cookies I’ve ever had. Shortbread cookies are different than your average cookie because they don’t rely on a leavening agent like baking soda or baking powder to make them rise and make them soft and cakey. These are buttery, flaky rich cookies that are deliciously crumbly and perfectly lemony. 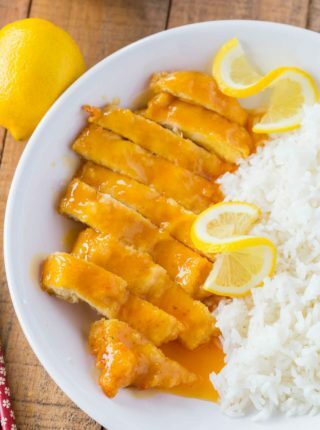 We add both lemon juice and lemon zest to this recipe to get as much lemon flavor as possible but you can just as easily swap out the lemon for lime or orange too. 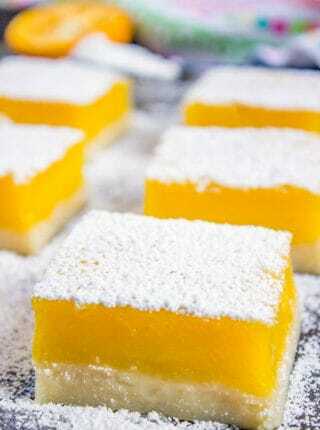 In fact in the winter I often make this recipe with oranges and shave white chocolate into the cookies too. Since we start with softened butter and have a very soft cookie dough be sure you follow the directions closely about cooling your dough. WHY DO WE HAVE TO CHILL THE DOUGH? Refrigerate this dough for a minimum of two hours, but preferably overnight, to make sure it’s as cold as possible. If you don’t refrigerate this dough it is going to melt into a pancake and burn. The butter needs to have a chance to firm back up again to give the cookie stability to be shaped and formed. This cookie recipe will keep on the counter in an airtight container for 8-10 days. 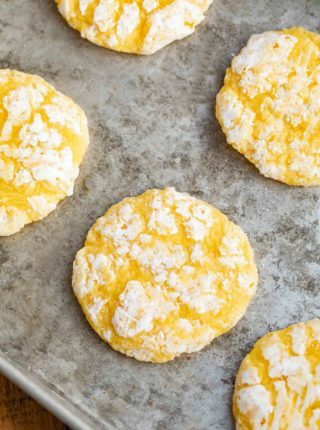 CAN YOU FREEZE LEMON COOKIES? Shortbread cookies can be frozen with no issues, but if you decide to ice these cookies the icing may suffer in the freezing process. Whisk the ingredients together, then drizzle the icing over the cookies or dip the cookies upside down into the icing and allow to set. Bake these cookies on a baking sheet with parchment paper or a silicone mat to prevent sticking. You want the cookies to turn a nice browned color in the oven because the buttery flavor will be more pronounced. Make sure not to add any frosting or glaze to these cookies until after they have completely cooled. Use room temperature butter to be sure you get the mixture light and fluffy before refrigerating your dough. Make sure you let the dough chill for at least 2 hours, if you rush it the cookies will suffer. 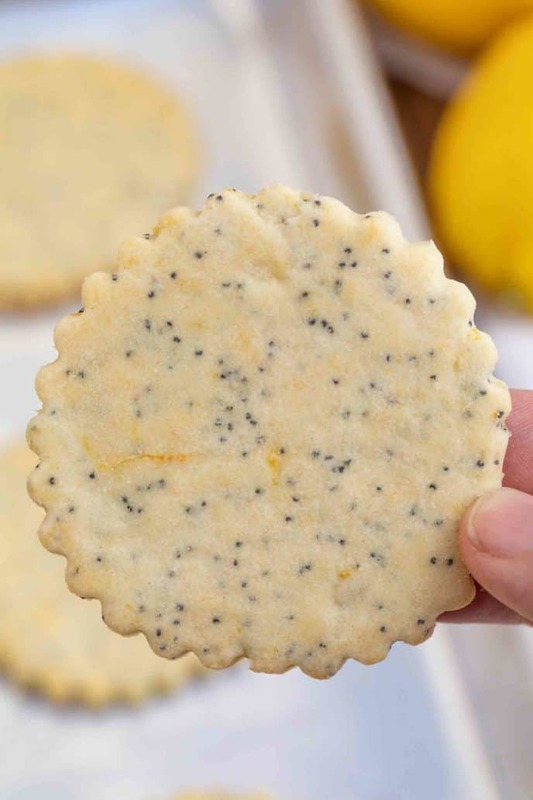 If you want a softer poppy seed cookie you can add 1 tablespoon of poppy seeds to my Classic Lemon Cookie recipe. 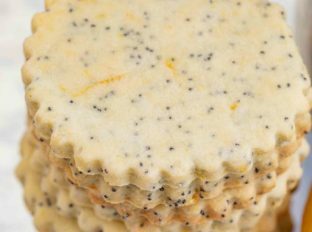 Lemon Poppy Seed Cookies made with a shortbread base, lemon juice and zest in a rich buttery crispy cookie that's perfect for tea or your Christmas cookie exchange! To your stand mixer add the butter and sugar and beat on high speed until light and fluffy, about 2 minutes then add in the egg and egg yolk until fully combined. Add in the vanilla, lemon juice, lemon zest and poppy seeds then lower the speed and add in the flour and salt until just combined. Put the dough into plastic wrap and refrigerate for at least two hours before rolling out onto a floured surface 1/4" thick. Press out with a cookie cutter and bake at 350 degrees for 10-12 minutes. These are perfect for spring! Such a perfect recipe for spring. Love these cookies. WOW! Delish we love lemon! It offers such a great flavor! Great cookies for our cookie jar! Light, crispy and sweet! Such a great recipe! Can’t wait to make another batch this weekend! So glad you enjoyed them, Steph!